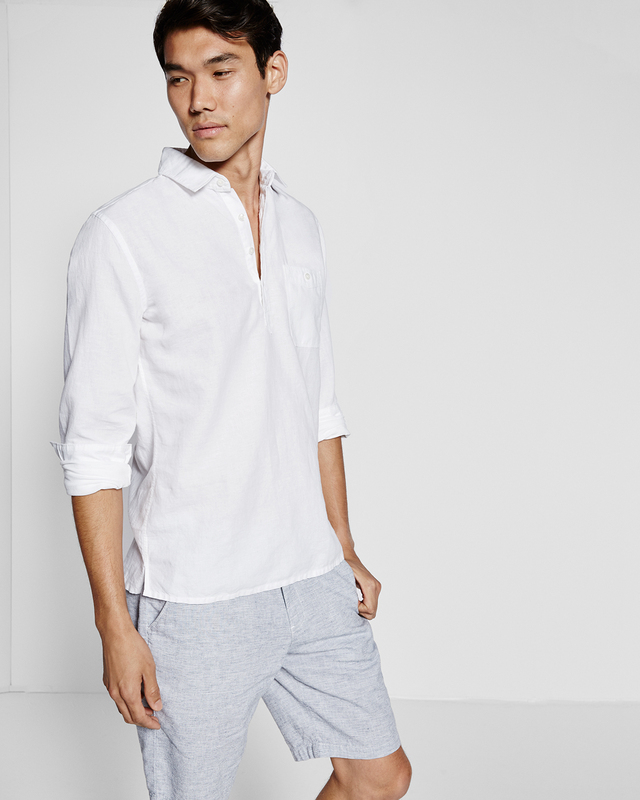 We ask a lot of our clothing these days, but we ask the most of henley shirts. Why? We want it to blend the casual ease of a T-shirt with the dressier qualities of a button-up with the sporty flavor of a polo. We want it to effortlessly anchor an outfit on its own or to slyly play back-up under a thin sweater or lightweight jacket or even a blazer. We want it to have short sleeves in the summer and long sleeves in the winter, to come in a variety of colors and fabrics, to be sporty and office-appropriate and first-date-ready and an easy weekend go-to. And the crazy part is that it delivers on all fronts. Originally designed as a uniform for English rowers, the henley is now a cornerstone of a man’s wardrobe—with good reason. Its status as in-between, versatile, chameleon-like mainstay has made it the perfect piece of menswear for these crazy times where all sartorial rules have been chucked out the window and outfits are meant to fit in a variety of circumstances all at once. Wear it with slouchy track pants, flashy sneakers, and a beanie for a fresh streetwear look, or swap it in for a button-down if you want to give your suit some extra cool points. Wear it with jeans and under a V-neck sweater for perfectly unassuming off-duty style, or with khakis and white kicks from May to October and call it your summer uniform (your boss will not only not mind, he may even start copying you). It can literally do all this without even breaking a sweat. What’s not to like about that? Here are five options to add to your wardrobe for an instant style upgrade. Supersoft Long Sleeve: A tried-and-true classic made for all-day comfort and ready for practically any outfit you have in mind. Because it’s white, it’s the perfect foundation for a great outfit. Pair it with anything from sweats (seen here) or jeans or even a suit. The fact that the cotton is super supple and soft and feels like you’re wearing your favorite pajamas can be your little secret. 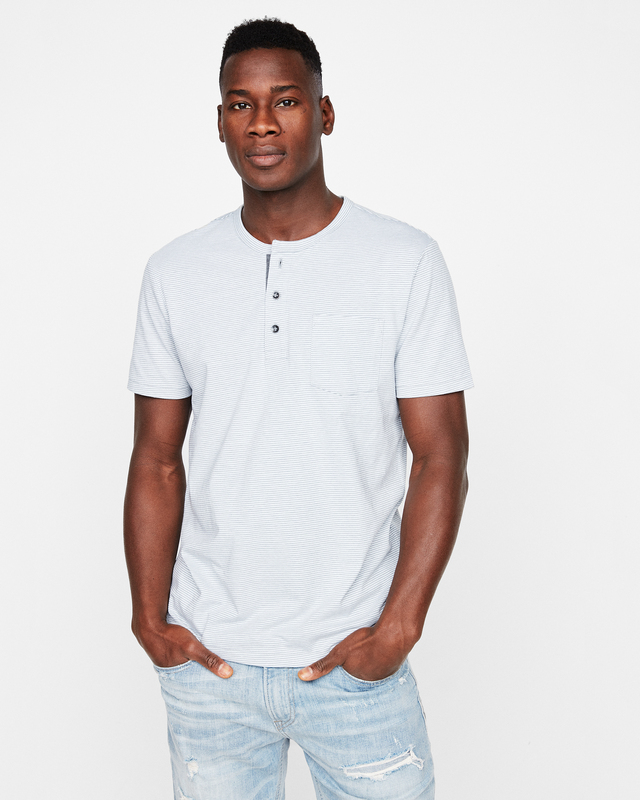 Striped Pocket Short Sleeve: Rugged at heart but refined with a French placket and subtle stripes, this dynamic henley will easily become your wardrobe workhorse. Wear it with jeans, chinos, shorts, or literally anything that can remotely fall under the “pants” category. Slim Long Sleeve Collared: Dressing for the office when the seasons change and the temperatures rise is a tricky (and often sweaty) task. 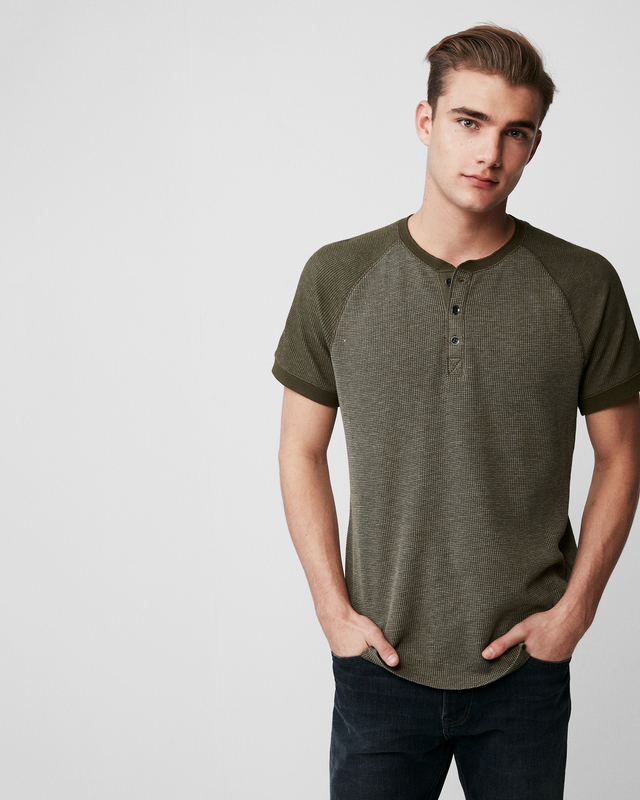 Luckily, our fresh cotton henley brings all the cool points without sacrificing comfort. The collar brings the right touch of formality. Waffle Short Sleeve Raglan: This modern twist on a traditional henley adds texture and depth, creating a shirt that’s undeniably sharp and athletic at the same time. And it’s still insanely comfortable. The raglan sleeve is not only a great looking design element, it gives the shirt a sporty vibe. 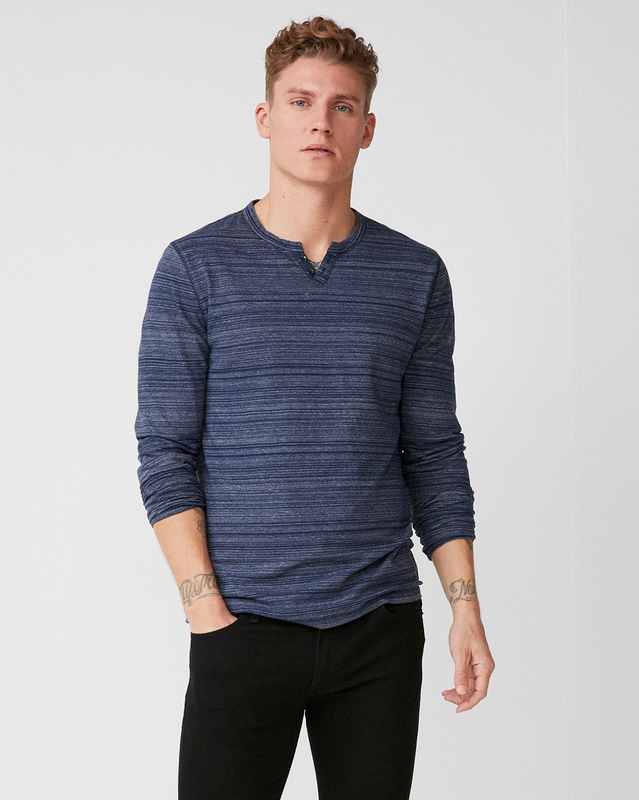 Striped Notch Neck: New to the henley game? It’s about time you get in on the action! Ease into the look with a subtle notch that delivers major menswear credibility. 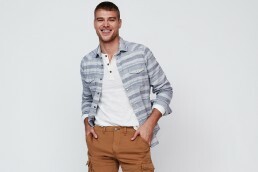 Like its older, three-buttoned brother, this shirt is perfect for layering or standing on its own.